One area that i have difficulty with is portrait photography and this is even more difficult in a concert hall or theatre because of the lighting [I am convinced that the lighting is designed to prevent photography]. In order to photograph in difficult environments I purchase a Sony 70-200GM f2.8 lens and while I am pleased with the lens I am still at the bottom end of a steep learning curve. I am seriously considering the Sony 100mm GM lens which may be more suitable but I have decided to delay purchasing it until 2018. 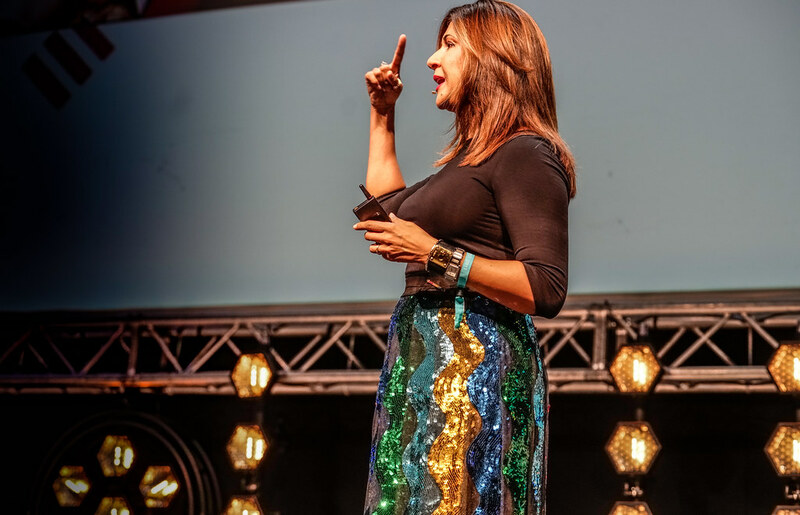 Nilofer Merchant is a master at turning seemingly ‘wild’ ideas into new realities, and showing the rest of us how we can, too. A bestselling author on innovation and collaboration, a TED main-stage speaker and the recipient of the Future Thinker award from Thinkers50 (which also ranked her in the top 50 management thinkers in the world), Merchant reveals new ways of connecting our ideas to the world in an era when the potential to make a difference is wide open. Her famed TED talk, ‘Got A Meeting? Take A Walk’, has been seen by nearly 3m viewers. Merchant began her career in business 25 years ago as an administrative assistant, quickly rising to division leader, CEO and even board member of a NASDAQ-traded company. Along the way, she gathered monikers such as the ‘Jane Bond of Innovation’, for her ability to guide organisations through impossible odds. She has personally launched more than 100 products, netting $18bn in sales, and has held many executive positions; from Fortune 500 companies such as Apple and Autodesk, to start-ups in the early days of the web such as GoLive, which was later bought by Adobe. Logitech, Symantec, HP, Yahoo, VMware and many others have turned to Merchant for guidance on new product strategies, entering new markets, defending against competitors and optimising revenues. She is one of the few people who can say they’ve fought a competitive battle against Microsoft and won (she bid for Symantec’s antivirus $2.1bn annual business). Her second book, 11 Rules for Creating Value in the #SocialEra, was chosen by Fast Company as one of the best business books of 2012. Merchant’s newest title, The Power of Onlyness: Make Your Wild Ideas Mighty Enough to Dent the World, reveals proven strategies to unleash the power of a new idea, no matter how weird or wild it may seem.